It’s a British tradition to load up the caravan or motorhome on a Bank Holiday weekend and head off to enjoy the best of the British countryside. Problem is, everyone else has the same idea which leads to traffic jams and campsites which are booked up months in advance. Wouldn’t it be great if you could discover unspoiled parts of the UK which aren’t as crowded and make a great alternative for Bank Holiday motorhome getaways in the UK? Here are some ideas for Bank Holiday getaways in the UK for motorhomers. It’s a bit of a trek up to the north of Scotland but the new North Coast 500 driving route really makes it worth the effort and this makes a great alternative Bank Holiday getaway in your motorhome. A 500 mile long circular route starting and finishing in Inverness, this route takes in the best of Scottish scenery and in good weather, it’s hard to beat. It might be a bit ambitious to try the whole route over a weekend however. 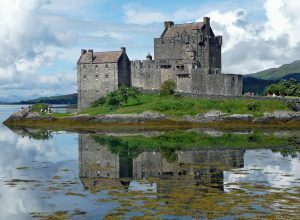 If you’re looking to make the best use of limited time on this Bank Holiday weekend trip head west from Inverness to explore the Applecross and Torridon areas. There are many campsites in the area but wild camping is also popular. Just check with the landowner first to make sure they are happy to have you parking on their land to avoid unwanted problems which could ruin your family break unnecessarily. 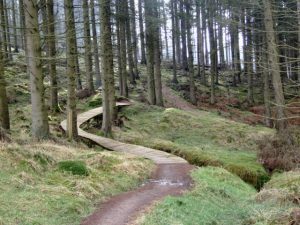 The Northumberland coast is always busy on a Bank Holiday weekend, so head inland instead to the Kielder Forest. Kielder covers an area of over 250 square miles so there’s plenty of room for everyone. Take your mountain bikes or walking shoes as there are miles of trails to explore and get back to nature. Ospreys are often spotted, and there are many other species of birds and animals too. Kielder is also famous as a “dark skies” area, where the lack of light pollution makes it ideal for star gazing. There is a campsite right on Kielder Water lake in the centre of the forest, and another by the side of the river. Although you’ll have to brave the often busy M5 to get there, the Dartmoor National Park is a huge area of unspoiled moorland countryside. Heading to Dartmoor provides an alternative where you can easily escape the crowds who generally flock to Devon’s beaches on Bank Holiday weekends. 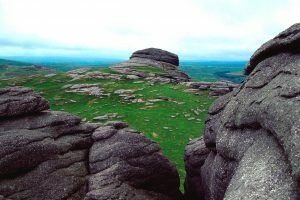 The best views in the area are from Fur Tor. Fur Tor is one of the highest peaks in the National Park where you really can get away from everyday life. Dartmoor has many different campsites suitable for motorhomes. Although stopping in a lay-by for a sandwich or a cuppa is fine be aware you’re not allowed to park up here overnight. The Norfolk Broads are more associated with a boating holiday than a motorhome holiday, but this can work in your favour as it’s usually easy to find spaces on a campsite. The small village of Horning is one of Norfolk’s best. 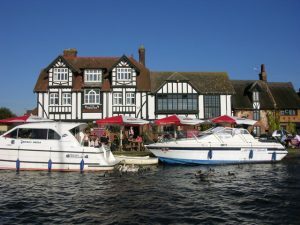 Visitors can take boat trips from the centre of the village, shop in quirky independent retailers, have a delicious afternoon tea or take a walk along the river banks. There’s a large Caravan Club campsite just along the road in the neighbouring village of Ludham. This makes the perfect base for exploring the larger Broads area and the coastal resorts of Great Yarmouth or Caister on Sea. Wherever you decide to take off this Bank Holiday we hope you have a great time and if you’re near Travelworld, in Shropshire, don’t forget to call in to see us.